Happy Wednesday HCMA families! I hope you all had a nice Easter weekend! 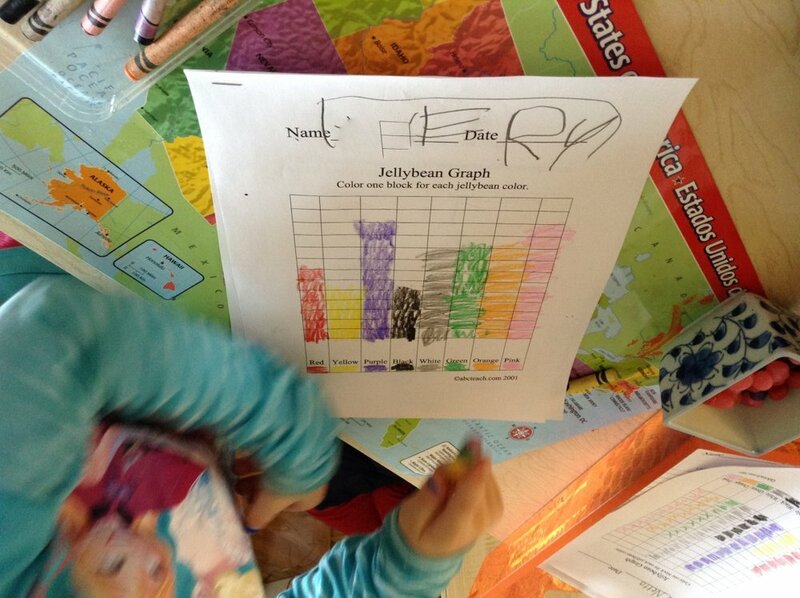 Following in the Easter/Spring theme, jellybeans have now become a manipulative to use for graphing activities. This particular graphing activity I gave the Pre-K kids was a little more difficult than our other graphing works because it has a few more steps involved. 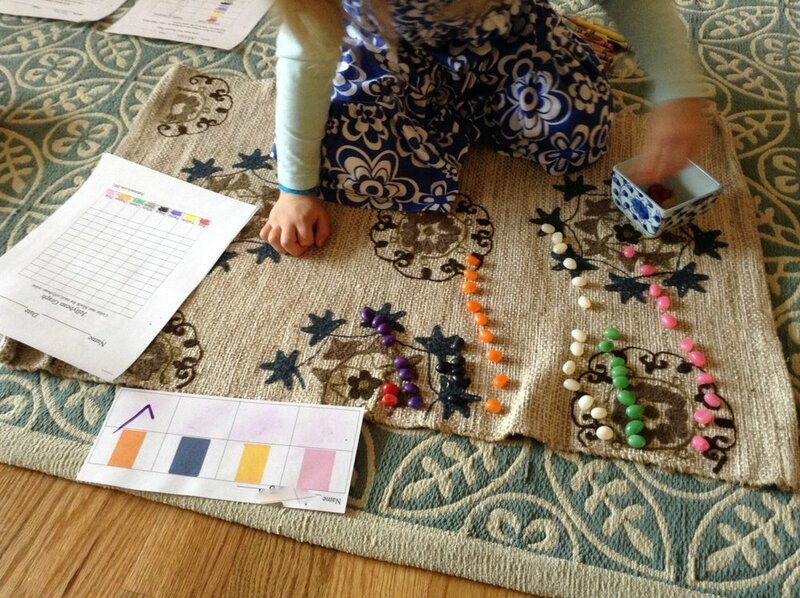 The student first has to sort all the jellybeans into a line of the same colors. This task itself is a challenge because there are a lot of jellybeans and it is tricky to keep them all organized. This part of the activity helps strengthen fine motor skills and keeping a work neat. Once the jellybeans have been sorted, the children must count each color and record their findings on a piece of graphing paper. This part of the work practices one-to-one correspondence which is a skill we have been working on all throughout the year. I have seen great improvement with this skill compared to the beginning of the year, but we will keep reinforcing this skill with practice! 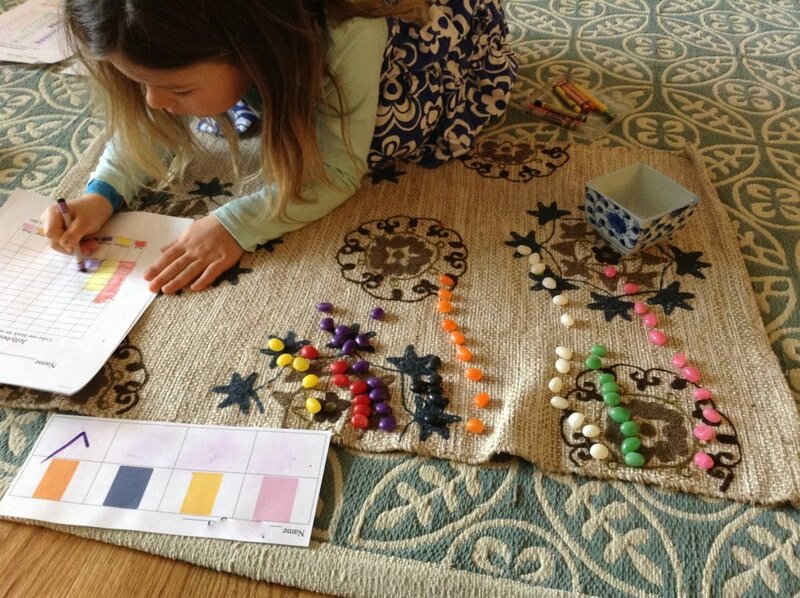 After the child has graphed all of the jellybeans, the next task is to write how many jelly beans they have of each color. This causes them to use their counting skills again and their knowledge of number recognition. Writing the numbers has also been a skill we've worked on throughout the year that I've seen so much improvement on. It's so exciting to see all the progress made since we are coming up on our last few months of school! 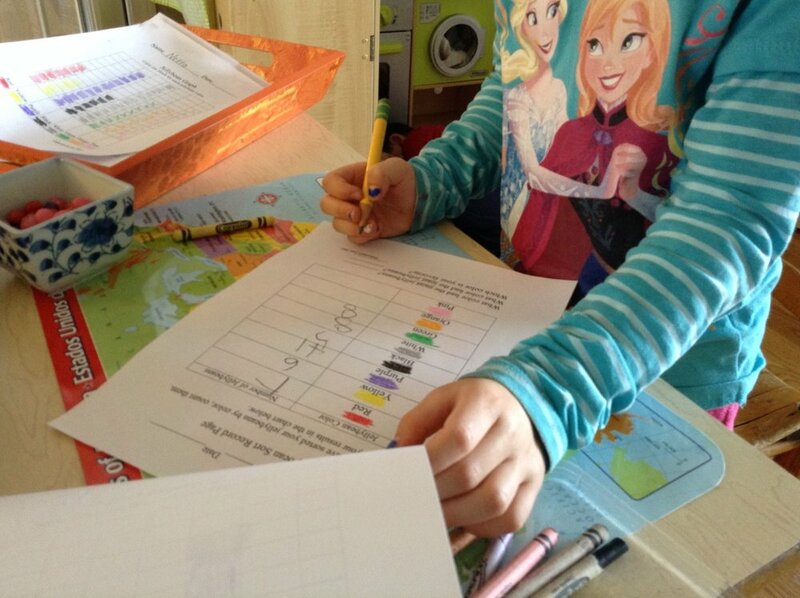 After the kids have recorded their numbers, the kids have to write which color had the fewest number of jellybeans and which color had the most. They also had to write which color of jellybean was their favorite! This task obviously helps their writing skills as well as their pencil grip. This work is pretty hefty---it takes a while, has a lot of parts to it, and requires a lot of attention and focus. Of the kids who have tried this work, all of them have impressed me with their math and writing skills! I like how this work is comprised of both math and literacy skills!